So having made v2.0 of my TypeAhead control I am rapidly moving towards the next iteration making it easier to implement and not have to add functions to the fields in the designer. This becomes especially arduous if you have multiple TypeAheads in the same form and you want to add this capability to all of them. 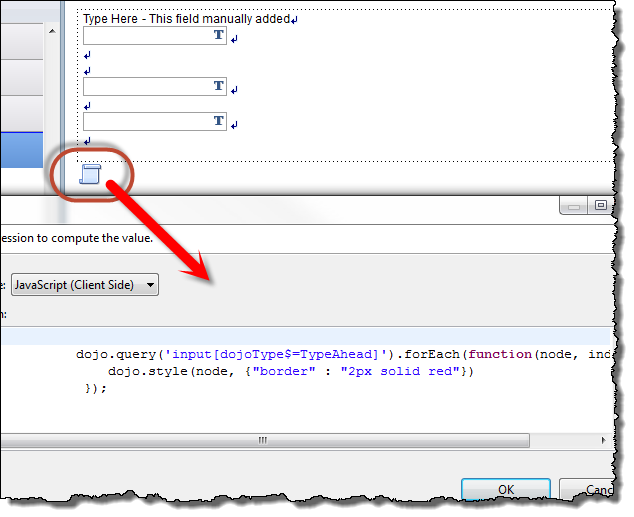 So foolishly I thought – we need a simple attribute selector which will select attribute dojoType is like TypeAhead. I get a big fat nothing..
Oh DUH – it is a dojo widget (remember) and once the page is loaded, dojo does some major DOM manipulation to create the functionality. This is actually a really nice demonstration of how XPages and dojo work in tandem. XPages creates some fairly innocuous HTML and dojo tranforms it into considerably more complex and voluminous HTML. So looking at the DOM we have a problem because the final field which is created (that I want to get a handle on) does not have anything indicating that it is a TypeAhead and how can I “select” this out without adding client side events in the XPage…. The trick is to execute or “selector” before the dojo widget takes over and messes up the DOM. Instead of adding the code to the onClientLoad event (which is also when the dojo widget magic is triggered) we need to add it to a script block inside of the HTML – before the page has finished loading. This is a subtle yet important timing detail during the rendering of HTML pages. You can add a script tag to an HTML page and have it execute before the page is rendered to the user, but it can only take action on what has already been “loaded”…this is also why dojo and jQuery are usually triggered when the HTML document is finally loaded – to make sure all the necessary fields are “loaded” on the page. In this case we are going to add the script block right at the end of the XPage to make sure that everything we are looking for is “loaded” before we act on it. 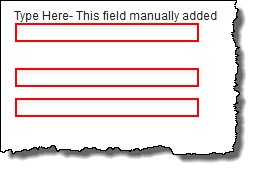 The script block is added at the bottom of the XPage after all the fields. This will execute before the onClientLoad event. And looking at the Sourcecode you can see the script is the last thing on the page before closing </the xp:view>. But wait – there’s more to this that meets the eye…. What is also interesting to note is that the styling applied to the INPUT field before the dojo widget has it’s way with the HTML is retained….but it is NOT applied to the INPUT anymore..not even close…..
Because of this, I am not sure at this point if I am going to be able to add the timing handlers for the TypeAhead – it will be fun finding out though, watch this space…. Come on Marky…read a little! “dijit/registry stores a collection of all the dijit widgets within a page. 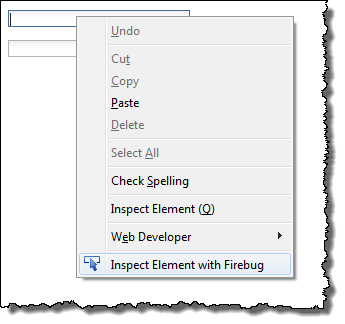 It is commonly used to retrieve a reference to a widget from a related piece of data (such as the widget’s DOM node or ID). It contains functions formerly found on the root dijit object for looking up widgets, such as dijit.byId and dijit.byNode.